Holiday home for six people in a wood glade with a wonderful view over the Lavant Valley. 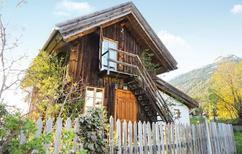 ​Carinthia | Would you like to know which holiday home or apartment is particularly worth spending a holiday in? 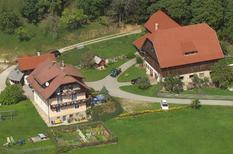 Here we'll show you the accommodation in Carinthia, which has received the best reviews from our customers. 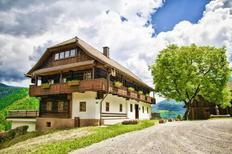 Styria | Experience the imposing panorama of the Alps during a holiday in a quaint mountain lodge high up on the alp. Hikes can begin there right outside the front door. 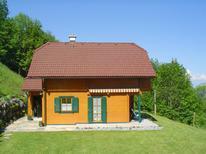 Holiday home for up to six people, located above Lake Ossiach. ​Austria | Here the summits of the Alps reflect on the blue water surface: Wörthersee, Wolfgangsee, Lake Neusiedl See or Lake Ossiach – Austria’s bathing paradises are always worth visiting. A holiday house in Carinthia costs on average GBP 744 in the cheap travel period and GBP 1,295 in the peak season per week. These details are of course in relation to the house and not per person as well as includes the obligatory additional charges. 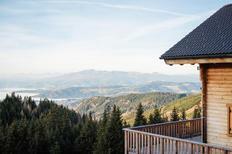 Welcome in Carinthia one of the most lovely and diverse regions in Austria! Recuperate at one of the beautiful seas and enjoy the fresh mountain air, experience the nature in its full entirety within the mild climate of southern part of Austria. 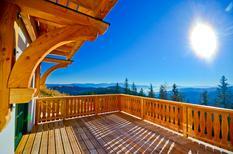 In Carinthia atraveo has more than 320 holiday houses and more than 760 holiday apartments on offer for you. The holiday domiciles are as diverse as the region. Many of the holiday apartments and houses in Carinthia offer a lovely view towards the picturesque mountain range or are in close proximity to one of the ski regions. You have the option of spending for example of spending your vacation in Carinthia in a hotel village where you are provided both with the privacy and space of a generous holiday apartment in lovely restored farmhouses as well as the comforts of a hotel all at your disposal. 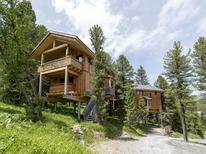 Or opt for a holiday complex with detached chalets and apartment houses. In most holiday complexes you will be provided with children entertainment, swimming and wellness programs that are partly offered in conjunction with surrounding complexes. On atraveo you are also able to find a number of privately run holiday domiciles that have their own specific attraction. Maybe you would like to spend your vacation in a cosy holiday home in the countryside, in a quiet location with an own garden and balcony. Alternatively a vacation on an organic farm might appeal to you in a tastefully furnished holiday apartment surrounded by lush green meadows. Here your kids will have the opportunity to help with the feeding of the animals and play with them in the petting zoo. Some holiday homes in the countryside occasionally offer pony trekking or riding lessons. Many private owners also offer access to different wellness offers. You are able to choose with you would like to have a sauna or an own pool which will be offered in cooperation with other providers or baths. 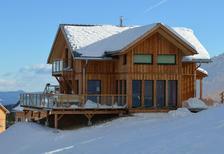 Maybe you will book an exclusive villa with sea view or a comfortably furnished log cabin. If you place great emphasis on a nature experience with seclusion and tranquillity then you may want to consider a holiday in a self supporting hut in the midst of the National Park Hohe Tauern or in the idyllic Lavant Valley. In our diverse offer range you are surely going to be able to find the suitable holiday domicile. In Carinthia a splendid landscape awaits you with many great seas. The Lake Wörther is probably the most famous and has served as a backdrop in several films. The great large sea is in a wind protected location between the mountains and only minimally flushed. Therefore the water will be pleasantly warm in the summer with temperatures reaching 25 degrees at the waterfront and that remains so until mid September. Here you can enjoy a number of pleasures including diving or bathing, water skiing or going on a boat trip. There is also a lot to do around the sea with a number of events and festivals taking place such as “Car Free Wörthersee” where the streets around the sea are only open to cyclists and skaters. Also when in this region it is worth planning a daytrip to Klagenfurt. The Weissensee is another lovely bathing sea with very pure and clean water. Only a third of the waterfront has been built up guaranteeing a very natural bathing pleasure. In the summer you can indulge in warm water temperatures and clear visibility of a depth of six metres. Further popular bathing lakes in Carinthia include Lake Ossiach, Lake Faak, Lake Millstätt and Lake Klopein. Here you are also offered a number of recreational activities and can bathe as well as unwind in beautiful surroundings. Another highlight of the Carinthia landscape is the mountains with clear air, lush green meadows, lovely Alpine pastures and sleepy villages. In the summer there are arrays of options available including hiking, cycling, riding as well as climbing and paragliding. In the meadows the Alpine roses glow and invite you to enjoy a relaxing picnic. A visit of the Alpine pastures or a ride with the summer toboggan run will be an unforgettable experience. 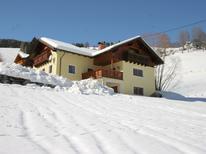 During winter Carinthia provides particularly family friendly ski places with piste and sledge runs. Skating on the frozen seas can also be a special highlight. Popular skiing regions in Carinthia are amongst others Bad Kleinkirchheim, Skischaukel Aineck-Katschberg and Mölltaler Gletscher-Ankogel. In Carinthia many excellent regional produce are made and labelled with the brand “Genussland Kärnten”. Whilst staying in your holiday home you should definitively buy a tasty Carinthia Alpine cheese, fresh produced milk or regional meat produce such as the smoked Carinthia bacon. A specialty you should not miss out on when going to a inn are the Carinthia Kasnudel which are served with hearty or sweet fillings.